We'll be building up a list of places of interest local to The Woodside that registered users can rate. This will help visitors to the area find the best places to go and might even provide some inspiration for us locals too. If you want more information on any of these, why not pop in and see us - we might have some further literature, advice or even discount tickets for some of them. Located in the heart of the Peak District, Chatsworth has a range of things to see and do all round the year, for all of the family. Discover 105 acres of garden with giant water features, sculptures, beautiful flowers and magnificent views of the park. Explore the historic house, discover fascinating stories and enjoy one of Europe's most significant art collections. Browse the interiors, gardens, gift and pantry shops as well as Britain's best farm shop. The 1000 acre park on the banks of the river Derwent, is one of the most beautiful and historic man-made landscapes in Britain. It is open free throughout the year to explore, picnic and play in. Large scale outdoor events take place in the park every year. It runs for 46 miles from the River Trent to the middle of Chesterfield, linking Nottinghamshire, South Yorkshire and Derbyshire. 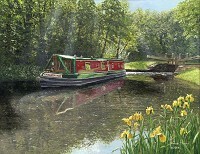 Every yard of the canal can be walked on the towpath known as The Cuckoo Way. Chesterfield's rich historical heritage is explored in the town's museum and art gallery. Taking the 'Story of Chesterfield' as its theme, the museum shows how the town has become the place it is today. The museum tells the story of Chesterfield from its origin as a Roman fort to the present day. It is located in the Stephenson Memorial Hall, built in 1879 as a mechanics institute, and named in honour of the town's most famous Victorian resident, railway pioneer George Stephenson. 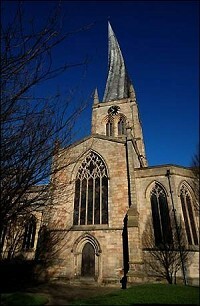 Chesterfield Parish Church is an Anglican church dedicated to Saint Mary and All Saints, and is the largest church in Derbyshire. Predominantly dating back to the 14th century, the church is a Grade I listed building and is most known for its twisted spire, an architectural phenomenon which has led to the church being given the common byname of the Crooked Spire. The spire was added to the 14th century tower in about 1362. The leaning characteristic was initially suspected to be the result of the absence of skilled craftsmen however it is now believed that the twisting of the spire was caused by the lead that covers the spire, which was added 300 years after it was built. Hardwick Hall, is an architecturally significant Elizabethan country house in England. 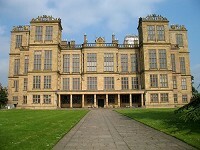 Built between 1590–1597 for the formidable Bess of Hardwick, it is one of the earliest examples of the English interpretation of the Renaissance style. Enjoy a drink or a meal at Great Barn Restaurant while the little ones enjoy playtime with toys and games or explore the Hardwick park with a map showing you the location of all of the 31 activities you can do at Hardwick.